Drug treatment centers a cause or a symptom of Baltimore’s troubles? 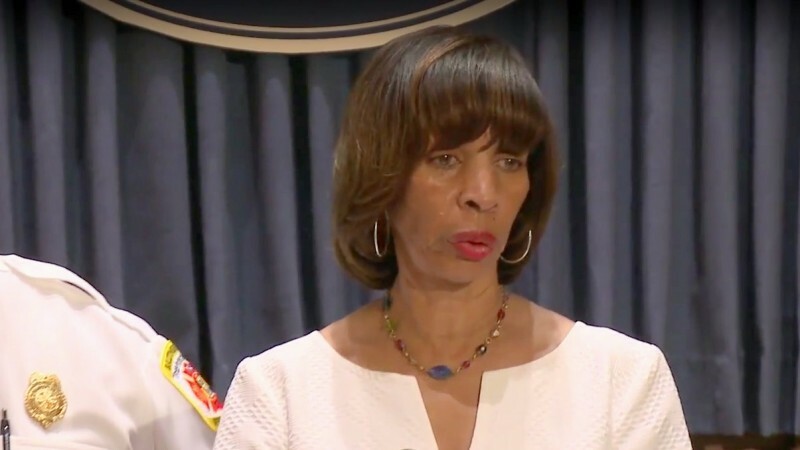 Asked to respond to the latest round of bloodshed in Baltimore – including the slaying of the police spokesman’s 24-year-old brother – Mayor Catherine Pugh began with condolences. “My heart goes out to T.J. and his family,” Pugh said, referring to Baltimore police spokesman T.J. Smith. Smith had fought back tears in his own news conference, recalling his brother Dionay “Dion” Smith, who was fatally shot Sunday in his home in West Baltimore. Then Pugh turned to the tougher task of making sense of this already record-setting year for homicides and explaining what she, as mayor, is going to do about it. As she has in recent weeks, Pugh vowed to push “emergency legislation” to make carrying an illegal gun a felony. But she also identified another factor she considers a contributing cause: methadone clinics. “The other issue for me is how many drug treatment centers are here in Baltimore city. We have more than the entire state,” Pugh said at her weekly press availablity. “We need the treatment, but for me it’s how we do this in a more responsible way,” she said. Meanwhile, as Pugh was complaining about the proliferation of drug treatment facilities in Baltimore, city health officials have been saying more treatment slots are needed for the city’s estimated 25,000 opioid abusers, including more than 18,000 heroin addicts. The city Health Department has prioritized increasing capacity for “medication assisted treatment” for people with opioid use disorders. City officials have said Baltimore has 7,300 too few drug treatment slots, an estimate that state officials confirmed earlier this year. Pugh’s director of public affairs, Anthony McCarthy, addressed the seeming contradiction. “While the mayor is committed to providing effective and accessible treatment to those seeking rehabilitation, she wants to have a broader conversation regarding the best way to provide that treatment,” he said in an email. “Is there a way that we can have the least impact on neighborhoods and communities? Is there a better way to deliver services to those in need? We are having dialogue around these issues,” McCarthy wrote. Those questions have persisted amid a task force on the city opioid crisis convened by Pugh’s predecessor, Stephanie Rawlings-Blake. And they are being addressed by the Baltimore Health Department now through a work group tasked with improving relations between treatment providers and communities. Reflecting the same mixed message on a complex issue, Gov. 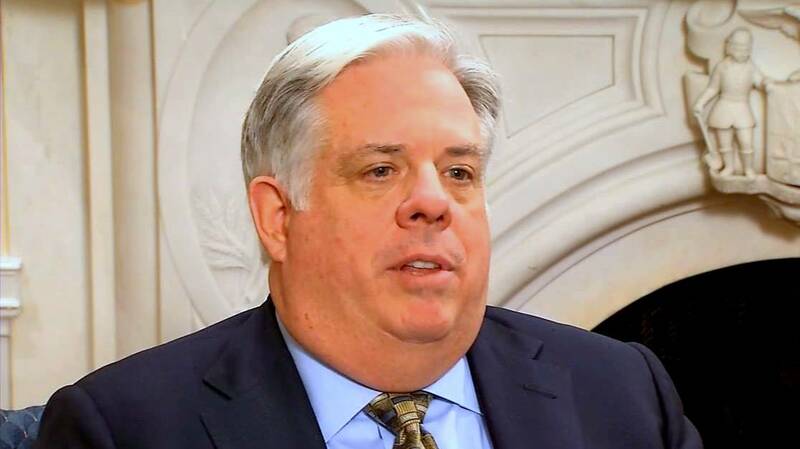 Larry Hogan yesterday also complained about drug abuse and treatment efforts in Baltimore. Then on the following day, today, the Hogan administration announced that over $22 million will be spent to combat Maryland’s opioid abuse problem, including $2 million for a 24-hour crisis center in Baltimore. Last week, the Board of Estimates approved a 15-year lease at the old Hebrew Orphan Asylum in West Baltimore, where they plan to open a center to help people addicted to heroin and other drugs. The 2016 annual report released by the state Department of Health found that of the 2,089 overdose deaths in Maryland last year, 694 occurred in Baltimore. The state funding, announced in a news release today, includes $2.7 million to improve statewide access to the anti-overdose drug naloxone, resources that advocates have pressed the state to release. Recognizing the immediate need in Baltimore – where Health Commissioner Leana Wen has had to ration the lifesaving drug – the state initiative includes $750,000 to provide the city with 10,000 units, or 20,000 doses of naloxone. Baltimore will also receive $830,429 in direct jurisdictional funding as well as money for localized treatment and enforcement initiatives. It’s all part of Maryland’s fiscal 2018 funding – a mix of prevention, enforcement and treatment efforts aimed at combating a problem that has surged statewide. “Finding real solutions to the heroin and opioid crisis that is ravaging our communities is a top priority of our administration and a cause that myself and Lt. Governor Rutherford have been personally committed to since before we took office,” Hogan said in a statement.